We had a very powerful storm blow through last night into today. The barometric pressure of 29.41 inch Hg (996 millibars) was the lowest every recorded at Canebas weather station for the month of November during the 9 years of station operation. It was also the lowest pressure thus far observed in 2018. We have picked up thus far 2.20" of rain (56mm) and the rain continues to fall. However this photo is facing East instead of West and the effect is obviously different . . . .
After all, they don't call it Fall for nothing! Is that, perhaps a "Ginko"? Dear X-Air, and WeatherCat "property handymen,"
Yes, that would be my guess as well. 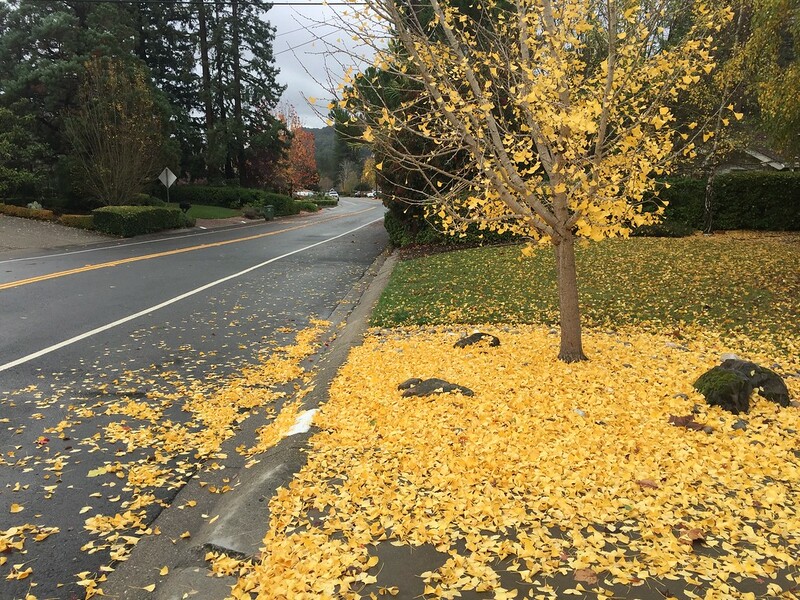 Yes, we also have one on our property and yes, I just finished raking up the latest round of "yellow carpet." More rain is expected tomorrow so my rake will continue to have plenty of "customers" . . . . . . 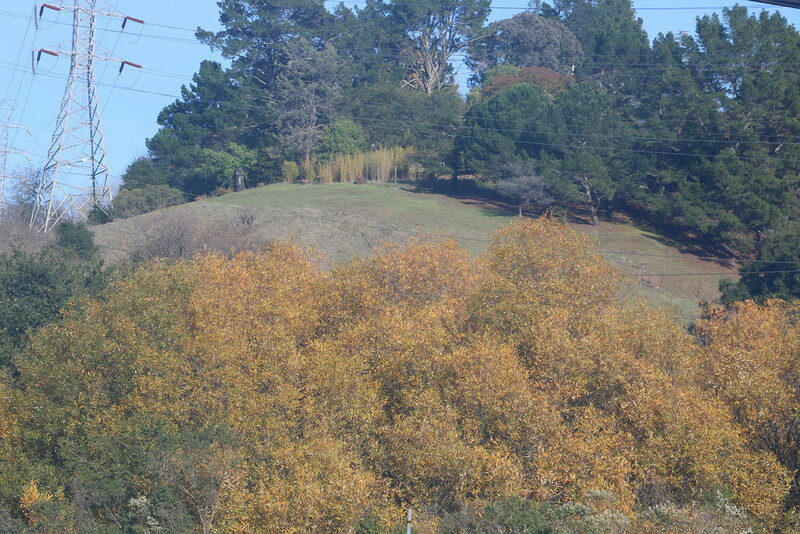 The wild trees at the bottom of the scene are very late indeed in their leaves changing color. Just above you'll see the silvery grey of the old grass stalks that are starting to decompose. The rains have gotten the bacteria going and the sunshine is allowing them to maintain their metabolism. Above the decomposing stalks is largely bare ground. The rains were enough to get the grass seeds to spout and the sun is allowing the shoots to grow. So in one scene you have the leaves of Autumn, the decomposing grass of Winter, and the new shoots of Spring. It is one of the wonders of California that goes unnoticed by the vast majority of residents.